Books are one of the best ways to develop imaginative and creative skills in children. When we were growing up, books were the primary means by which we explored various topics that interested us. Even very young children can 'read' by telling an adult the story according to pictures in the book. Puzzles are always fun for children. 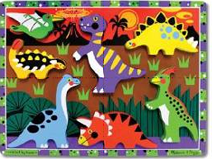 Depending on the type of puzzle, children develop various skills such as identifying colors, textures and shapes. Some children enjoy the challenge posed by certain types of puzzle and get very involved in using their mind actively. 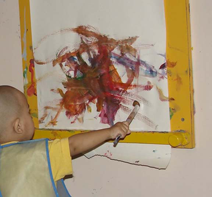 Collages, card-making and finger painting - just using the basic ingredients of paper and colors can help to stimulate and nurture a child's developing mind and creative skills. Here's an easy activity - let your child draw a picture, then cut it up into large pieces. Now they have made their very own jigsaw puzzle! 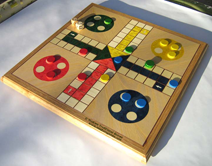 Board games provide a very exciting medium for interaction and creative development. Some of these have bright colors, exciting features to stimulate the creativity and imagination while others actually promote co-operation. There are many ways to nurture creative skills in all children that honour their intrinsic motivation to learn from spontaneous play/activity to hands-on contact with real things. Promoting these ideas through Utsarga Charity's school program will help to stimulate and nurture a child's developing mind, curiosity, and creative skills.